Aviemore was once a small tranquil town within the Cairngorm National Park, but during the 1960’s Aviemore developed into a bustling Skiing resort for winter adventurers wanting to be challenged on the Cairngorm mountains Ski slopes. unfortunately the town suffered some poor development during the 70’s and and was left with an unfortunate and undesirable look. Fortunately most of these old buildings have now been removed and a much nicer feel has been adopted to the town with much better development, giving the town a nice fresh look and amenities for the community and visitors. 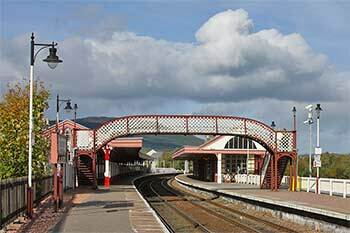 Built around a lovely Victorian Railway Station Aviemore is an ideal location for touring the National Park, and is also a fine accommodation location for the many outdoor activity enthusiasts that visit the area all year round. Aviemore in Scotland is better known for being a skiing holiday resort in the winter when the Cairngorms are blanketed with snow, but in the summer Aviemore is alive with hill walkers and adventure seekers taking advantage of the many activities around the area. The area is without a doubt one of the best places in Scotland to enjoy many activities from horse riding, clay pigeon shooting, white water rafting and many more. And for the tourist who enjoy a much more relaxing time there is some of the best Lochs, forests and mountains to explore in Scotland. Overall the Cairngorm National Park is one of the best places in Scotland to have a family holiday; we have listed a few places below to appeal to everyone. A place of stunning natural beauty, hosting one of the largest natural forests in the United Kingdom. Rothiemurchus has a massive range of activities you can take part in, anything on land, water and in the air this great estate has it all. Treezone is one activity the children will love, climbing and swinging from tree to tree in complete safety, a place the children will want to keep coming back to, or try your hand at Clay Pigeon Shooting or Quad trekking this place has the lot, there is something for everyone and would take far too long to complete the list of things to do at Rothiemurchus, so take a look yourself at the estates website and decide what you are going to be doing when you’re on holiday near Aviemore. 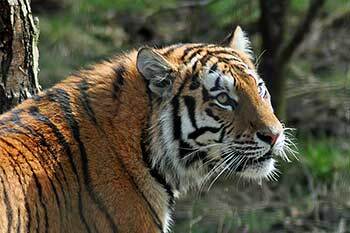 The Highland Wildlife Park near kincraig Scotland is a great place for families to visit when on Holiday in Scotland, located just 7 miles south of Aviemore this great attraction will keep you occupied for many hours. There are an excellent range of animals to see including Polar Bears, Tigers, Wolves and Birds of Prey, and the dedicated staff are always on hand to answer your questions, at various times of the day you can watch the park rangers feed the animals and this gives you an ideal chance to take some great photographs with the animals being very lively. Definitely worth a visit any time of the year, but be prepared for a little walking as some of the animal enclosures are located up hills and within different areas of the park. The Loch Garten Ospreys are great to visit especially if you are a Scottish wildlife fan, run by the RSPB this excellent centre is a great educational day out for all the family, located within the Abernethy Forest on the road between Boat of Garten and the Village of Nethy Bridge, not only a great forest location with beautiful Lochs it boasts great facilities to view the Ospreys. Inside the centre you are provided with good quality telescopes and binoculars to view these wonderful birds and television monitors with live footage of the nest. The staff of the centre are very well educated in all aspects of the Ospreys and forest life and there to answer any of your questions. Only open in the Summer months due to the migration of the birds, it gives you a good insight of the life of these great Birds of prey, A website is also available with a webcam of the nest so you can watch the birds breed and follow the early life of the chicks from hatching to fledging a truly lovely thing to follow. 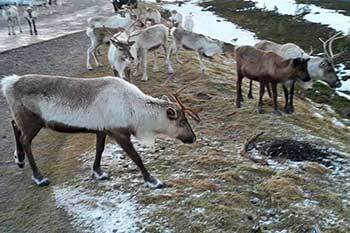 Roaming free on the majestic mountains and hills of the Cairngorm National Park the Reindeers are a lovely family day out, you can take guided tours up the hills with the Reindeer herders or simply visit the Reindeers at the paddocks where you can meet and stroke the reindeers close up. You can also visit the shop by the paddocks and buy lovely gifts including books you can even adopt a Reindeer if you like, definitely a great place to visit on the way to the Cairngorm Mountains. Situated at the foot of the Cairngorm Mountains and clad with Caledonian forest this stunning area of Scotland is known for its outstanding beauty, you will never run out of things to do and look at here, the place is awash with activities for all the family, Loch Morlich is also located here with a great curving stretch of golden sand that stands proud with a backdrop not seen anywhere else in Britain, the Cairngorms stand proud overlooking this great loch and is a lovely Place to visit anytime of the year, summer is especially good as there is a good choice of water sport activities to do on the Loch, equipment can be hired from the water sport centre by the Loch giving you the chance to adventure onto the water to get a great view of the Cairngorms and surrounding area. If you love Steam Trains then this is a good day out for you, located right in the center of Aviemore, the steam train trip runs from Aviemore to Broomhill via Boat of Garten, the station at Broomhill was used in the TV programme Monarch of the Glen and was the station for the fantasy village of Glenbogle. Running close to the River Spey this 19 mile trip gives you stunning views of the Cairngorm National Park, on the train you can enjoy a nice drink or something to eat from the buffet car offering both a full lunch or wine and dine option. There are plenty of events to enjoy throughout the year including Mothers day specials and of course the Santa Express. 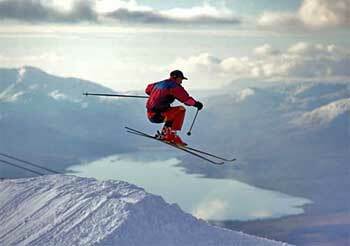 Want a bit of adventure and get active when on holiday in Aviemore? then you have to visit G2 Outdoor, located in Aviemore G2 Outdoor can provide you with tons of excitement and adventure with activities for all ages, you can do Rock Climbing, Mountain Biking, Canoeing, Hill Walking and much more, they provide a full winter and summer programme and keep you safe with a highly experienced team of outdoor instructors. a superb choice for a more active holiday. Visit the Cairngorm Mountain and experience a mountain environment with a difference, this is the only mountain railway in Scotland and takes you on a journey of 8 minutes up the steep Mountain, and gives you fantastic views all over Strathspey and surrounding areas, on a clear day you can see for many miles and have great opportunities to take fantastic photographs to show all your friends and family when you arrive home. Once at the top of the Mountain you are welcomed with a lovely restaurant named the Ptarmigan, where you can have a meal and a drink whilst viewing the lovely scenery, the Mountain is also the home to skiing slopes where the more adventurous take to the ski runs in the winter months, the Mountain weather can change at any time on the Cairngorms so go well prepared with suitable clothing even if the weather down below is nice and sunny. definitely worth a visit at anytime of the year. When looking for a place to Ski in Scotland Aviemore is the first place on most people’s minds, The Cairngorm Mountains provide ideal facilities to have the perfect Skiing holiday in Scotland. Skiing in Scotland started on a commercial scale in Aviemore, with the amount of accommodation available and the perfect setting it became the most popular place to Ski in Scotland. Not to the scale of North American and European resorts but it’s an excellent winter holiday resort in the United Kingdom. 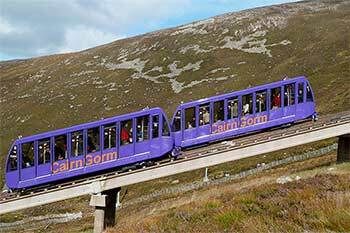 The Cairngorm ski resort is about eight miles from Aviemore, rising above Loch Morlich and the Glenmore forest park, easily accessible from Aviemore with local buses and tour companies offering great deals. You can rent all the Skiing equipment you need from many suppliers in the area and also from the Lodge at the foot of the ski slopes, you can also get tickets for the chairlifts and take the funicular railway to the top of the mountain. You will also find a shop, restaurant and a bar on the Ski slopes. If there is an abundance of snow particular in the lower areas of the Cairngorms you will find lots to do especially at the Rothiemurchus Estate who provide cross country skiing and lots of other winter activities, where you can ski through lovely snow laden forests and frozen lochs. If you would love to learn about survival, courses are also available at the Glenmore lodge where you can also participate in mountaineering and winter hill walking and much more besides. Other activities in the area include dog sleigh rides through magnificent winter scenery, or if you prefer something a touch more quieter take a visit to see the Reindeer close to Loch Morlich. Only 3 miles from Aviemore on the road to the Mountain, the Sleddog Centre offers an experience you will never forget, feel the power of the dogs as they pull you through crisp white snow and enjoy spectacular scenery, you don’t even need snow to enjoy this great day out because there are sleds to use with wheels during the summer months, also available is the kennel and Museum tours where you can meet all of the dogs and discover the history of this sport, altogether this is a great experience that you can enjoy all year round. 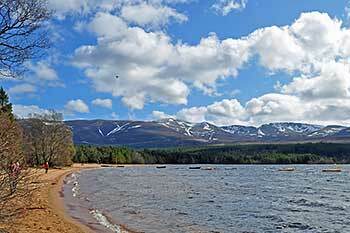 Aviemore Segway Treks is based at Dalraddy Holiday Park, in the heart of the Cairngorms, 5 minutes south of Aviemore. They offer exciting and challenging off-road segway treks, a fun day out for friends and families from ages 7 and up. Scotland is famous for its whisky distilleries, but if you are a beer drinker this is the place for you, located in Aviemore the Cairngorm Brewery Company produces famous beers like Cairngorm Gold and Stag, visit the brewery and discover the art of brewing. A winner of many beer awards this is a great place to visit when on holiday in Aviemore, there is an excellent shop at the brewery where you can purchase many gifts, and all of the beers to take home and enjoy, so take a visit and try a delight like a nice bottle of Nessie’s Monster Mash. There is no shortage of accommodation around Aviemore, and the Cairngorm National Park, with other great towns including Carrbridge, Kincraig, Boat of Garten, Grantown on Spey, Newtonmore and Kingussie all within easy reach of Aviemore and the many activities in the area. All these towns are served by some excellent hotels and self catering cottages, there is also a huge choice of camping and caravan parks all over the national park, as well as self catering lodges and B&B’s available all year round. Aviemore has a great selection of places to eat, from small cafes to large hotels and pubs all offering good quality food and drinks. a few places to try would be the Mountain Cafe Aviemore, The Cairngorm Hotel, The Winking Owl Pub, and the popular Ski-ing Doo Restaurant. You will also find many excellent places to eat in the nearby towns or within the surrounding countryside.